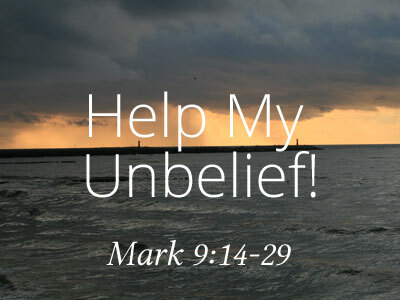 I’m a believer and I feel blessed for all the great things that God is doing in my life but sometimes my faith wavers. I may have a problem that I’m unable to decide on the best resolution, instead of putting it in prayer and trusting in God to help me find the answers, I spend a lot of time stressing. Luckily I have a sister that constantly reminds me to hand my worries to God and have faith that my prayers will be answered. I’m not 100% there, but everyday as I see wonderful things unfold in my life my faith grows. Being on this Lenten challenge has been a blessing, it has made me pay more attention to the word of God. Everyday I am being spoken to, on what I need to do to strengthen my relationship with God to receive my inheritance. God guides me in seeking him out. He gives me the will power to abstain from sugar as part of the Lenten Challenge. He gives me the strength to exercise, to enable me to be strong for the physical demands of motherhood. Whatever we are faced with, no matter how bleak things may seem we need to have faith in God. He will support and guide us through, till we come out on the other side. 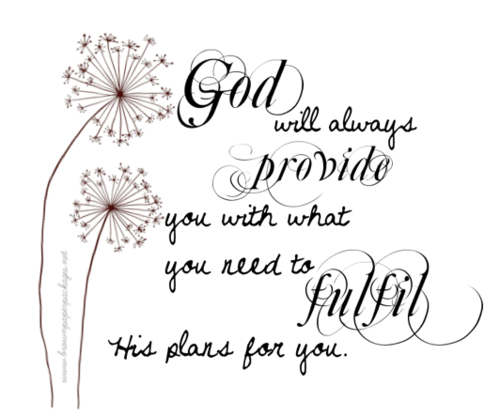 We need to place our troubles in his hands, in the knowledge that he will take care of it and us. How strong is your faith? Do you stress over your problems or do you hand them to God? Thanks for commenting. Now the reason you must be born again is because Jesus wants to transfer life. If we want to follow Christ we must do what the word of the Lord says, “repent and be baptized.” There has to be a turning away from a life of selfishness and rebellion against God’s law and at the same time a time to turn to Christ. We cannot save ourselves – only God can save us. Baptism identifies us with Christ and the community of believers. It is a condition of discipleship and a sign of faith. Then sin says I am going to attack your body, begin to destroy the thing that God created. Fill you full of affliction and disease. That is how sin works. Sin wraps its fingers around your life and hangs on. Sins says I do all of that for one purpose. Sin eventually wants to get a hold of your soul where it can drag you to hell and work destruction on you for all of eternity. That is what sin has set its course to do. John 10:10 KJV The thief cometh not, but for to steal, and to kill, and to destroy: I am come that they might have life, and that they might have it more abundantly. This is a word that has resonated with me personally during my weight loss journey. In the area of changing my eating habits. If don’t change the way I was eating and caring for His temple then I am going to die. That was one of the last things that I wanted to do, so I had to repent for my emotional eating lifestyle and asked God for help. He said in John 3:30 ‘He must increase and I must decrease.’ I had to learn to turn my frustrations, stresses, worries over to him and crave Him more and not food. 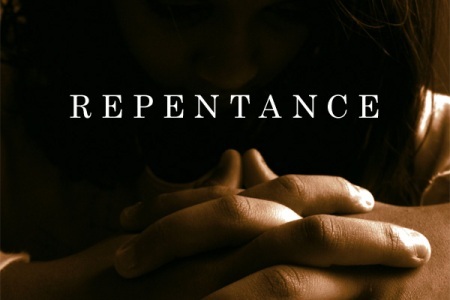 First of all, repentance is asking Him to be the Lord of every area of your life. Secondly repentance is admitting you are a sinner. Inheritance means that it belonged to somebody else before it belonged to you. You have received something of great value. It is my prayer that after my 40 Day fast that many of my loved ones and new souls will receive this new inheritance and become part of the body of Christ. Click here for more details on Lisa Bishop. Hope can be defined as the feeling that what is wanted can be had or that events will turn out for the best. In other words hope is where your expectations are centered. Your desires and expectations should be divinely centered. Ask yourself this question: Are my expectations aligned with the most high? The unwise and unlearned place their hope in people, jobs and material things. People are mercurial, the economy is fickle and material things do not last. It’s time we dig a little deeper and place our hope in a steadfast foundation. This sure foundation is God. No matter what you desire, place all your hope in the most high. You want to lose weight? You want to get fit? You want to be completely healed and restored? Put your hope in the Lord. You cannot do it alone. We are subject to error and mistakes. Eating that extra piece of cake or skipping the gym is a reflection of our weaknesses. Even with willpower we aren’t exempt from temptation and mishaps. Therefore trusting and hoping solely in your own strength is hazardous. In your darkest and weakest moments, trust in the power of God. The lord will be the hope of your situation. Click here for more details on Coach P.
Hebrews 4:15-16 (NIV) 15 For we do not have a high priest who is unable to empathize with our weaknesses, but we have one who has been tempted in every way, just as we are—yet he did not sin. 16 Let us then approach God’s throne of grace with confidence, so that we may receive mercy and find grace to help us in our time of need. To think that Jesus understands what we are going through because he walked the earth like us and faced challenges similar to what we faced, is really amazing. Sometimes, it is really hard to comprehend that our Savior led a life similar to what we do. Jesus walked where others walked and addressed issues as others would. Jesus took on this responsibility to be closer to us and that we could truly be connected our Lord. We should have a knowing that God truly loves us and always wants the best for us. Not only do we have the blessing of eternal life, we have the Lord everyday. The knowledge that the Lord is with us should make us bold even in times of our most dire need. During this Lenten Season, we have the opportunity to grow and re-focus to prepare to do just as the Word says and approach the Lord with confidence. As we build our relationship with God daily, our connection to our source continues to grow. What will be able to accomplish with this power and when we are acting with the purpose that God has for us. Isaiah 40: 31 NIV …but those who hope in the LORD will renew their strength. They will soar on wings like eagles; they will run and not grow weary, they will walk and not be faint. This scripture solidifies God’s challenge for us to wait upon him for all good works to come to pass. You are not a victim of circumstance. You are a child of the King. You are able to walk on water in faith and you will always know that God is on your side. All you have to do is be willing to thank him for both the good and the bad and remember that he is faithful to the end. He never fails, he always has a plan for you and he will see that good work through to the end if you are able to stand strong and not give up. Though things may seem as if they are going slow and there is a delay, hold strong to your profession of faith. Time is the only thing separating you from the victory. A delay is not a “No” and a hurdle is only a distraction to stop you from believing. You will receive the prize if you hold on and not faint. You may feel weak, depressed and downtrodden. But, they who wait upon the Lord, their strength shall be renewed and you will be like a tree planted by pure flowing rivers of God. Your roots will spring forth and you shall bath in the richness of His riches. Wait I say, upon the Lord. If we walk with God and follow His decrees the bible says He will bless us with long life. So, what are decrees? Decrees of God are defined as relating to all future things without exception. These decrees, when declared, were concerned about our life and death as well as our place in eternity. When we get saved from our life of sin we are taught that change is a process and not an event. Over time we learn what it is that God wants from us. We learn these things by reading our bible and hearing the word of God, then allowing Him to show us how His word relates to our own lives today. And since it is a process and we are only human God already knows our faults, has forgiven us for them and will allow us to continue our eternal walk with Him. Lastly, and very important, in order for our maturity to increase in Him we must fellowship with likeminded believers. Now, what does that have to do with your fitness and health? All of those same principles hold true when you decide to make lifestyle changes that will better your health. Increasing your fitness and health is also a process. You have to learn to choose healthier options. There will be times you fall off of the wagon but you have to be committed to picking yourself up and continuing on. And lastly, surrounding yourself with people who have the same goal as you will likely ensure your success! How do you make this a part of who you are? Regularity, practice, and consistency. The more you do a thing, the better you become at it. Walking with God is not always easy but we continue. In my own opinion, there is no other option. But in our daily diet, it is easy to get off track because of the many options that bombard us. What works for me is the fact that in both cases there is only one way to have the long abundant life promised by God, choosing God and healthy living. My personal goal is to live a long God blessed life without ailment or disease. So I choose life giving habits and make them second nature. I advise you to declare and decree that your weight loss and improved health efforts will come to pass, NO MATTER WHAT! If you want to walk in favor change your surroundings. 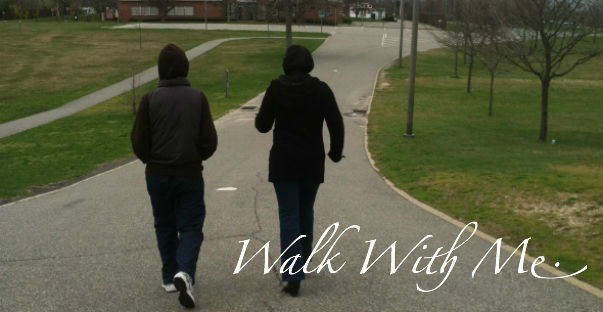 Walk with God-inspired people. 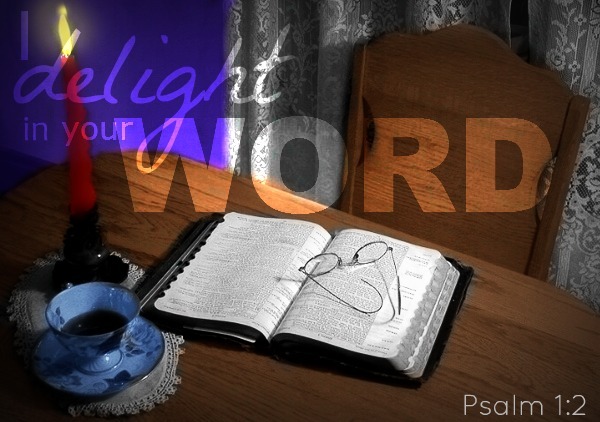 Psalms 1 reads, “Blessed is the man that walketh not in the counsel of the ungodly”. Some times the very company we keep is the root of our adversity. Drama queens and negative Nancy’s can hinder us by distracting us from true purpose and our goals. Align yourself with people who not only push towards your goals but also push you towards God. Remember the ultimate purpose is pleasing God. Once we please him he will give us the desires of our heart. There’s no adversity stronger than the favor of GOD. Meditation is an efficient method to remove yourself from the natural world and negative surroundings spiritually. 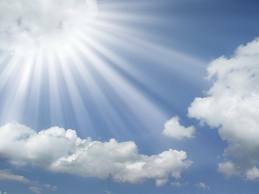 It initiates communication with the high realms of Heaven of in the Spirit World. The purpose of meditation is to discover our true purpose and true selves – a spiritual being residing in a physical body; and experience true joy by feeling free from the restrictions and influences of this physical world. To meditate is to connect with source. When we keep our minds on God he keeps us in perfect peace. With peace comes clarity. Freed minds make better decisions. Whether your goal is a physical fitness and or spiritual fitness, meditate before and during the journey. God will give you insight that will not only get you going but it will sustain you.